There are so many great destinations to consider for a skiing or snowboarding trip and France, Austria, Switzerland and the USA remain some of our most popular locations for people booking ski chalets. 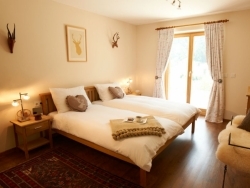 Catered accommodation is perfect for those who want more time on the pistes and less time in the kitchen or laundry because all our catered ski chalets will offer breakfast, evening meals and snacks to the residents throughout their stay - leaving you free to enjoy the excellent skiing conditions in your chosen ski resort. 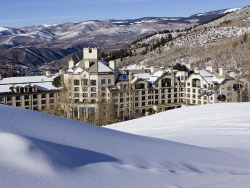 For any ski lover, it is all about spending as much time on the pistes as possible and with ChaletFinder's exceptional range of catered ski chalets, this dream will become a reality. If you opt for a catered chalet, all of the chores will be taken care of for you and you won't need to worry about cooking breakfast or an evening meal after a hard day on the mountains - things really are much simpler when you opt for catered ski chalets. Catered Ski Chalets in France - France and skiing are two peas in a pod and you can't call yourself a skiing fan unless you've spent some time on French pistes. 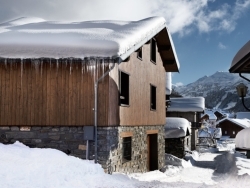 Here at ChaletFinder we offer a superb range of catered ski chalets in France in the most popular regions of Chamonix, St Gervais and Les Deux Alpes. 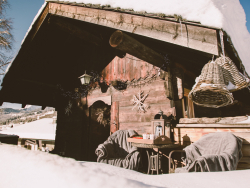 Catering Chalets in Switzerland - If you're after breathtaking scenery and some of the fastest pistes out there, Switzerland is the place to be. 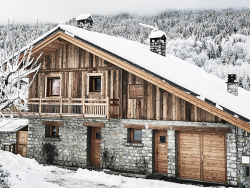 ChaletFinder are confident that you will find the ideal accommodation in the likes of Zermatt, Verbier and Valais with our superb range of catering chalets in Switzerland. Austrian Catered Chalet - One of ChaletFinder's most popular ski destinations, Austria has so many great resorts for ski fans to choose from such as Tyrol and St Anton. If it's a catered chalet in Austria that you're wanting, we have loads for you to choose from and we offer incredible prices as we put you in direct contact with the owners of catered ski chalets. If you're looking to go skiing in France, Italy, Switzerland, Austria or the USA, we are sure to have the ideal catered ski chalet for you. If you can't find catering chalets to suit your needs on our website, just give our friendly ChaletFinder advisors a call on +44 (0) 161 408 0441 and we will be able to help. 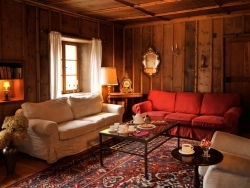 [luxury_short_description] => An antique mountain refuge, renovated into a perfect alpine retreat for two, with sleigh bed, roll top bath and private hot tub. An antique mountain refuge, renovated into a perfect alpine retreat for two, with sleigh bed, roll top bath and private hot tub. [short_description] => A cosy, well equipped apartment in a picturesque resort with fantastic facilities having full use of an indoor swimming pool, Jacuzzi and games room. A cosy, well equipped apartment in a picturesque resort with fantastic facilities having full use of an indoor swimming pool, Jacuzzi and games room. [short_description] => Chalet Lapin is a lovely 6 person chalet in the centre of Meribel, the perfect base for a family or small group of friends. Great value! 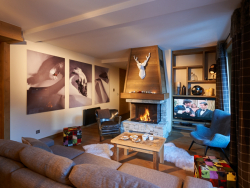 Chalet Lapin is a lovely 6 person chalet in the centre of Meribel, the perfect base for a family or small group of friends. Great value! [short_description] => Family sized chalet only 50m from lift and piste as well as bars, restaurants and shops! Located in Meribel Village. 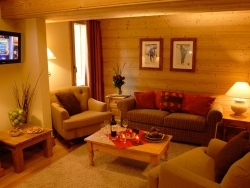 Family sized chalet only 50m from lift and piste as well as bars, restaurants and shops! Located in Meribel Village. [short_description] => The Pinchbeck is superbly located with lavish views across the blue slope leading to the Nassereinbah and offers ski-in/out access! The Pinchbeck is superbly located with lavish views across the blue slope leading to the Nassereinbah and offers ski-in/out access!